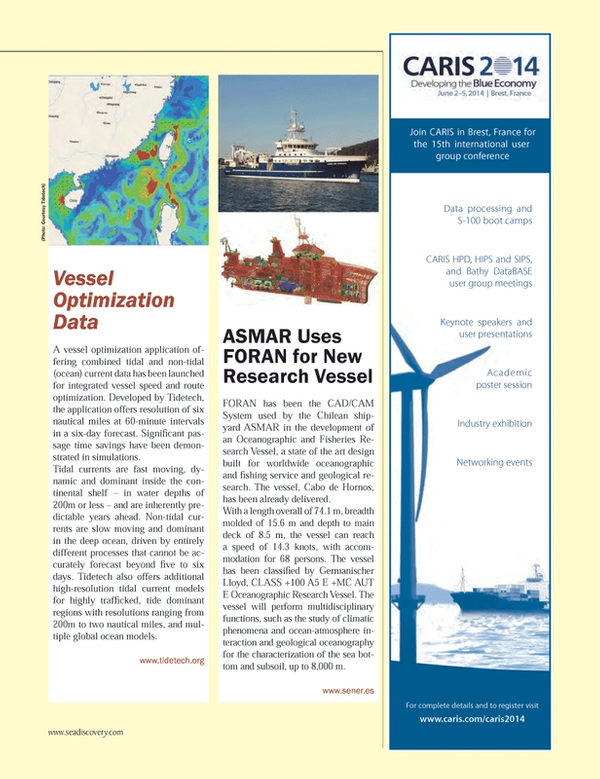 FORAN has been the CAD/CAM System used by the Chilean shipyard ASMAR in the development of an Oceanographic and Fisheries Research Vessel, a state of the art design built for worldwide oceanographic and fishing service and geological research. The vessel, Cabo de Hornos, has been already delivered. With a length overall of 74.1 m, breadth molded of 15.6 m and depth to main deck of 8.5 m, the vessel can reach a speed of 14.3 knots, with accommodation for 68 persons. The vessel has been classified by Germanischer Lloyd, CLASS +100 A5 E +MC AUT E Oceanographic Research Vessel. The vessel will perform multidisciplinary functions, such as the study of climatic phenomena and ocean-atmosphere interaction and geological oceanography for the characterization of the sea bottom and subsoil, up to 8,000 m.